Southeast Pools, in ChampionsGate (outside of Orlando), is a premium swimming pool management company commercial pools and community swimming pools. Our team has decades of swimming pool repair, swimming pool cleaning, and swimming pool maintenance experience. No matter what your pool project is, we can take care of it so you can Swim Easy. Southeast Pools, in ChampionsGate Fl, is a premium commercial swimming pool servicing company. No matter how big your job is, we’re ready to take it on. We can can provide your business with swimming pool repairs, maintenance, resurfacing, service and cleaning for your commercial pool. 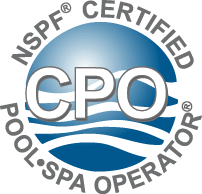 Our team has decades of experience working with commercial swimming pools. With Southeast Pools, you know you’re in good hands so you can Swim Easy. Southeast Pools located in Lake Buena Vista Fl offers premium residential swimming pool services for customers in the South Orlando, Kissimee, ChampionsGate, and surrounding areas. Our professional team provides comprehensive solutions for all residential swimming pool needs, and with decades of experience in the repair, cleaning, maintenance, resurfacing, and retiling of residential swimming pools, you can be sure you will be 100% satisfied. Contact Southeast Pools for any residential pool project or need, and let us handle it so you can Swim Easy. If you are on the board of a home owners association or if you work for a property management group in South Orlando, ChampionsGate, Kissimee, or Lake Buena Vista, we can help with your swimming pool management & service needs. Southeast pools can help ensure that your residents will Swim Easy.